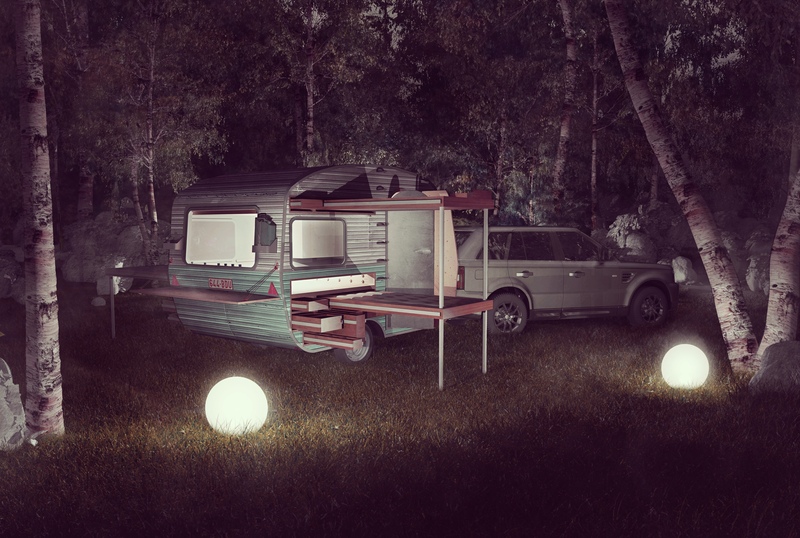 In this project, the request was from a family of four persons (the parents and two children), and they wished to edit their old caravane to do camping in family. First, this transformation was needed because the caravane was too small to receive four beds, plus adding a kitchen, a shower, and furnitures to put clothes and food, was a hard task. Also, each equipment had to be easy to use and stand alone. That means we cannot remove a bed to make a kitchen for example. Everything had to be usable in same time with an easy access. 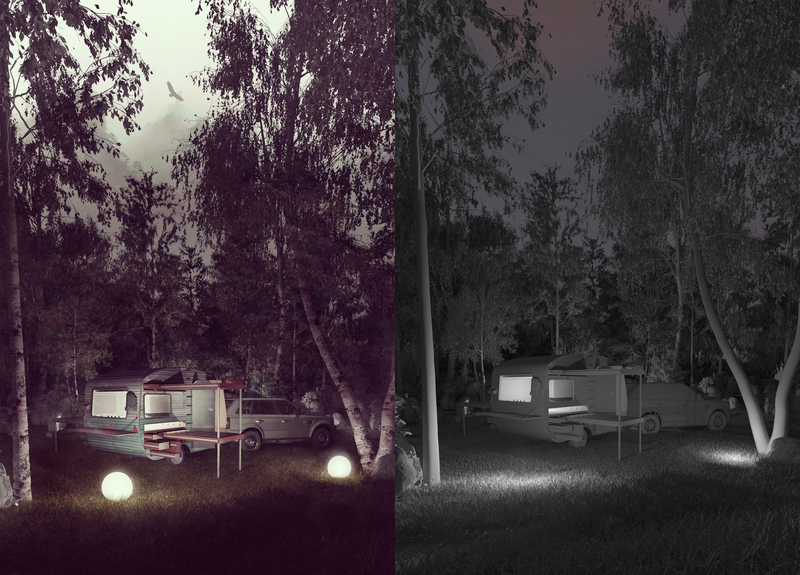 Last obligation, the caravane had to conserve its native frame to ensure its stability and solidity. For example, we cannot take the risk to split it in two parts and extend it like an accordion. So the proposition was to see the caravane like a big box with many drawers. This way, we don’t live inside the caravane, we live around it. Each drawer has a stand alone function, and it can be used easily by anyone. That lets many combinations to be discovered by the users. Inside, the caravane is almost filled when everything is closed, and when we open all drawers, we have also a usable space inside with some little furnitures that become available. The following slider shows the transformation process step by step.